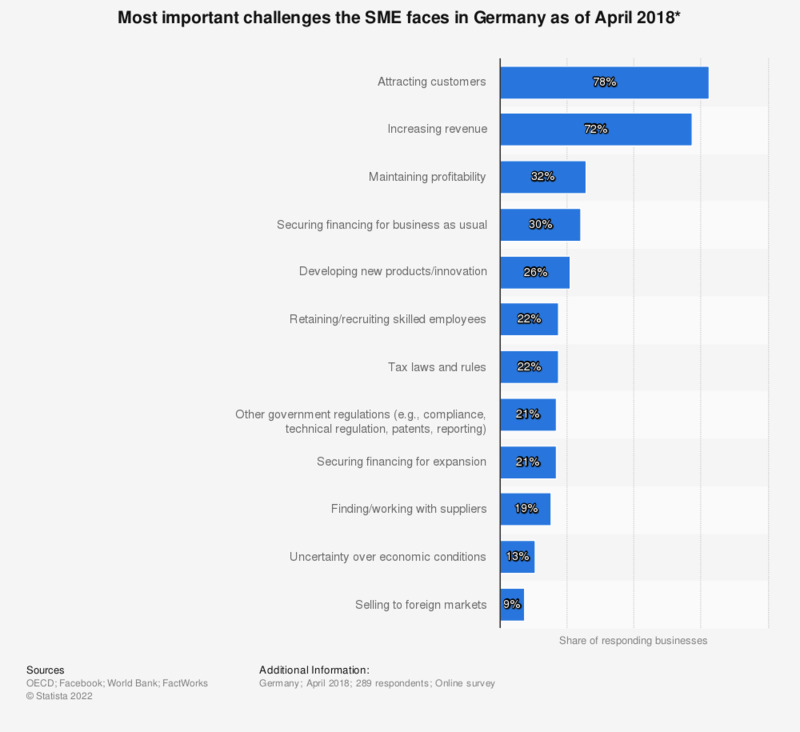 This statistic shows the the most important challenges the small and medium enterprise (SME) face in Germany as of April 2018. From the responding SMEs, 78 percent stated that their most important challenge was attracting new customers. * Source question: What are the most important challenges your business currently faces?